The dream came suddenly and my senses were jarred by the switch from black nothingness to waves of heat and a rancid smell. I was barefoot on hot, rocky ground, and the sky was full of ash – I felt hot cinders bounce off my skin. There were hints of high, discordant piping noises carried on the wind as it blew across my face, the sound making my skin crawl. I saw movement, out of the corner of my eye, and looked up to see something black, with huge leathery wings, flying through the cloud and cinders. It shrieked, a horrible sound that I could feel right through my bones, and flew on, not even noticing me, like I wasn’t even there. I stood there, watching it go, feeling an indescribable fear bearing down on me. I felt a sudden sharp, hot pain in my right hand and found that I was holding a strange tarnished key. It hurt my hand to hold it, but I wasn’t able to drop it or let it go. There was a strange feeling that enveloped me as I held the key, very hard to describe, and then I awoke, sweating and still shaking from the encounter. I did some deep breathing exercises to try to get back to sleep, but it didn’t really work and I wound up staring into the darkness until dawn began to light the room. That’s when things got even stranger…. I saw the key as soon as I got out of bed – it was sitting on my dresser, the same key I saw in the dream. 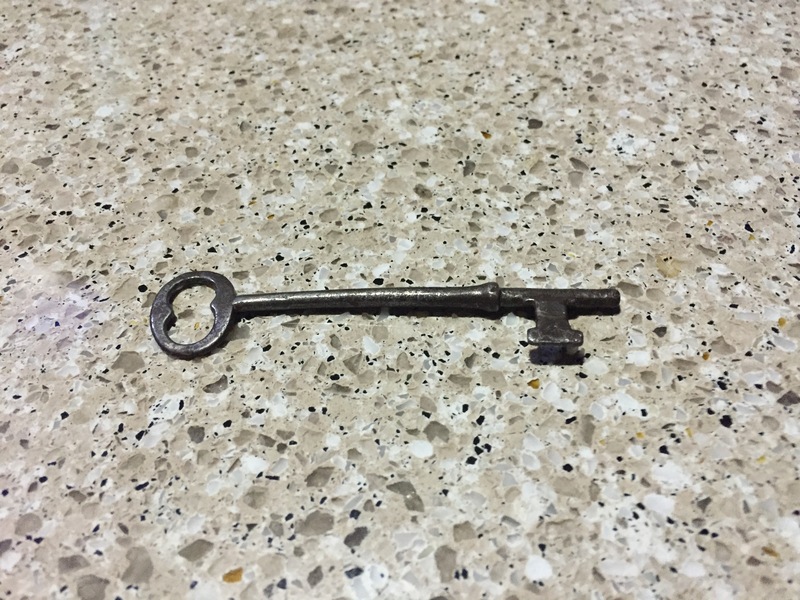 I mean, not just similar, not just a key that looks like the one I dreamed about – it was the very same key. I know that the doctors would say that the key was there the whole time, I saw it before I went to sleep and it imprinted on my subconscious, the simplest answer is usually the correct answer, but I know it’s not that… It isn’t the first time I’ve seen something from a dream in reality, not the first time my dreams have intruded into my waking life. That’s why I know there is some deeper meaning to this key; I just need to determine what that meaning is. Maybe the dreams will tell me. This entry was posted in Sleep Problems, Weird Happenings.